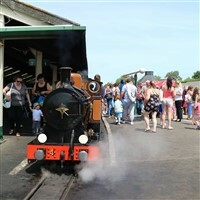 Since 1927 the Romney, Hythe & Dymchurch Railway has been an integral part of the landscape of the Romney Marsh. Known as Kents Mainline in Miniature, the world famous one-third full size steam & diesel locomotives have powered their way along the 13½ miles of track from the Cinque Port town of Hythe. With excellent catering facilities available at some stations, the ever-popular Model Railway Exhibition is also included in the cost of your day. The ancient Cinque Port of Hythe boasts good shopping facilities with restaurants, cafes, pubs, banks, supermarkets, antique shops and general shops. 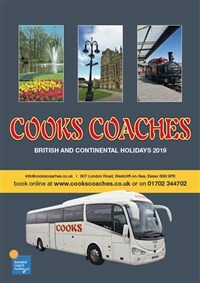 Your day will start with the coach journey to New Romney where you will have time for refreshments and to enjoy the model railway exhibition (incuded in your ticket price) and look around at the various engines on show before taking the train to Hythe where you are met by your coach. You will then be taken into Hythe to give you time for a look around the local shops and get lunch.